Jeremy Corbyn today aims to return Labour to Robin Cook’s “ethical foreign policy” as he tries to shore up the party’s stance on defence. Corbyn will declare that he is not a pacifist despite his long history of opposing Britain’s involvement in armed conflicts but will also issue a jibe at Theresa May and the Tories when he calls for “no more hand-holding with Donald Trump”. 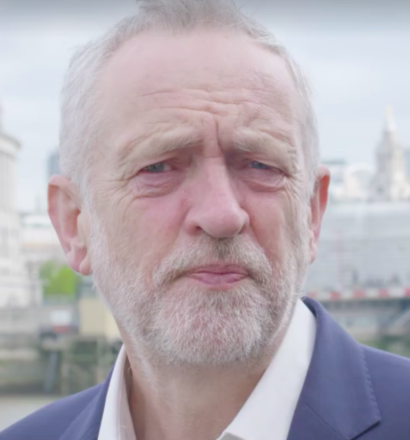 His intervention comes as the government aims to target Labour for second election running with claims of weakness on leadership, spending and defence. Corbyn’s speech, at the Chatham House think tank, follows a year which saw him split from his then shadow foreign secretary, Hilary Benn, on whether to bomb Syria. Today Corbyn, a former chair of Stop the War, will say he accept the use of military action as a last resort but vow that Britain’s security must not be “outsourced” to “an erratic Trump administration”. “Waiting to see which way the wind blows in Washington isn’t strong leadership. And pandering to an erratic Trump administration will not deliver stability. “Britain deserves better than simply outsourcing our country’s security and prosperity to the whims of the Trump White House. “So no more hand-holding with Donald Trump – a Labour government will conduct a robust and independent foreign policy made in London. Corbyn’s speech comes as Emily Thornberry, shadow foreign secretary, indicates a return to the era of Cook’s “ethical foreign policy”. Thornberry used a Guardian article to cite stance of the former Livingston MP, who resigned from the cabinet over the Iraq war, saying: “we will not just return to the Cook doctrine, but take immediate steps in government to enact it”. Corbyn will add: “The ‘war on terror’ which lies behind these interventions has failed. They have not increased our security at home – rather the opposite – and they have caused destabilisation and devastation abroad.